I have a confession to make. In the last 3 weeks through two different sources – a series of messages I am listening to and a personal Bible study that I am doing at home – I have had a sudden realization of something in my life. Had God spoken to me about this in the years before my husband died, I would have quickly dismissed that thought as totally preposterous. If He had spoken to me at the beginning of my grief journey, I’m sure I wouldn’t have even heard Him. Had He chosen to speak to me about it within the last two months, I certainly wouldn’t have believed it was true. One thing I am finding out is that God doesn’t speak to me until my heart is ready to receive what He has to say. It seems that I have some idols in my life. Ever since I was in grade school the need to have a very close friend has been extremely important to me. In fact, I have measured my worth by having at least one if not two very close friends who found me to be someone valuable enough to be in their innermost circle of most trusted friends – someone who was special. As I grew older, I looked to a man to give me a sense of beauty and belonging as well as a sense of being chosen, wanted, and most treasured. That man was my husband. I put him up on a pedestal and my total value, significance and security was in being the wife of Bob Feathers. Thirty-seven years of my life were centered around him and that affected not only everything I did in my life, but everything I thought about myself. Now I find myself stripped of those people that meant the most and were the most precious to me. I do not have any very close friends here in the place where I live. My husband is in heaven and for the first time in my life all those on my pedestals are gone and with them has disappeared my identity. I am no longer Mrs. Bob Feathers. All my idols are gone. So, where does that leave me? Who am I now and where do I find this worth that I so value? Who or what is going to fill this “Bob-shaped” hole in my heart? Who or what is going to fill this “very close friend here-shaped” hole in my heart? That is what God has been quietly talking to me about. My former closest friends here and my deceased husband were gifts. 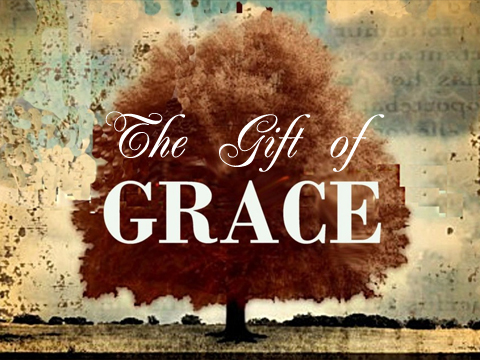 I looked to those gifts instead of God the Giver to fill me and fulfill me with lasting security and significance. God made my heart to worship and find my value in Him alone. That word worship comes from two words to form “worth-ship”. Now that I have realized and acknowledged the two biggest idols in my life, I need to begin applying the truth of what I have learned. Lord, when I am tempted to measure my value by how many “very close friends here” that I have, I will stop. Then I will thank You for your measureless grace that determines my value, which is not measured by the number of real friends who find me worthy of being in their innermost circle, but by Your love for me. When I am tempted to measure my value by having a husband to love and cherish me, I will stop. Then I will thank You for Your unconditional and unfailing love that determines my value, which is not measured by my position as the wife of someone, but by being a woman of God. perhaps the most powerful tool of healing…. for the homeless parts within the other person. RACHEL NAOMI REMEN, M. D.
There are 3 references in the Bible that say that God makes my feet like hinds’ feet and makes me to walk on high places (II Sam. 22:34; Psalm 18:33; Habakkuk 3:19). That got my attention and as I thought about it some more, I began to look at the Hebrew translation and discovered a few things. God’s “strength” here reflects not only strength but ability and efficiency. The word “make” means to transform, to set in place, and to direct toward. A “hind” is a female deer that can run fast, jump high, and is sure-footed. The word “feet“ talks about not only our physical feet but our journey. God enables me to “walk“ which in Hebrew translates to lead and direct in a march. When I got to the words “high places”, I was surprised to see that it meant not only places that are high, but even had a translation of “funeral mound“ with a question mark beside it. Could this verse possibly mean that God will give the widow’s feet the strength to move through her grief journey, “leap over” the death of her husband in acceptance and sure-footedly move on toward what is ahead in the next chapter of her life? I have to think that this truth was so important that God made reference to it three times and in this time and place in my life, this is what He is saying to me. On my own I certainly do not have the strength to move on. It would be so much easier to just go into a room, close the door, and shut life out completely never having to face anyone or make any decisions again. The Supreme GOD is a widow’s physical strength, mental strength, emotional strength, and spiritual strength. He is her ability and makes her efficient. He transforms her physical feet in her journey and sets them in place directing her in the right way. He then enables the widow to walk and leads her in a direct march through her grief journey, helps her to leap over the wall of brokenness, disappointment, anger, and all the emotions of grief guiding her to the place of acceptance, and then helps her to sure footedly march on toward what is ahead in her life. This letter was written during my 1st year of grief. You are the part of this grief package that I was not aware of. I never thought that you and I would ever be walking together hand in hand. In fact, I never wanted you to ever be a part of my life. Whenever I heard that someone was depressed, I had no idea what that really meant, but now I do. There is nothing like firsthand acquaintance with you to really know what you can do to a person. You are a prolonged and great sadness and are considered a normal part of the grieving process. All I know is that I do not want you here with me for any longer than necessary. Unresolved grief leads to an even greater degree of depression. So bottling up my emotions is something that I will not do. I want to go through this grieving process in the right way so that I do not have to stay in this painful place. I read some about you, Depression, and found out that there are different degrees of depression. Some widows are so depressed that they cannot even get out of bed in the morning. Life simply just stops for them. Then there are others that continue to function as they carry around feelings of great sadness inside. I am one of those. Tears are a part of my every day and my heart aches with this deep void inside. I sometimes find it hard to really think clearly. My feelings overwhelm me at times and I will have to allow myself to cry just to get relief. I find that talking with other widows who have gone through this grieving process or are going through this process is helpful. Also talking to my Christian psychologist helps me to see things more clearly. I know that in order for me to conquer you, I must have some help and some guidance. There is comfort in knowing that some of those closest to God’s heart went through the pain of depression and God let them write about it. David so aptly describes depression in the book of Psalms. At the end of those descriptions he always found something to praise God about. So, praise must be the antidote to you, Depression. Elijah told God that he just wanted to die and God so graciously and lovingly sent him sustenance and rest in his time alone. Naomi was not only depressed after the loss of her husband and two sons, she was bitter and angry at God and wanted people to call her by a new name that meant bitter. However, God did not turn His back on her. He caused her daughter-in-law Ruth to go with her when she returned to her country. Ruth went out in the fields and gleaned wheat to support them both. I think that Ruth was Naomi’s picture of God’s love in action and that love was what cracked Naomi’s hardened heart and allowed it to heal. The best part of that story is how God gave her back 3 people to love for the 3 people she lost – Ruth, Boaz, and grandson Obed. This story of Naomi’s says to me that God is not going to hold it against me that I am going through all the emotions of anger, resentment, depression, etc. that go along with grief. He is walking through this process with me and I WILL get through it and come out of it. I am so thankful to know that. “God’s sovereignty is like a shock absorber of our pain. It doesn’t absorb the bump completely, but keeps us from falling completely apart. There is no cosmic tug of war battle going on between God and the devil. The sovereignty of God became Job’s pillow where he could rest his weary head. He wasn’t looking for an explanation. He wasn’t putting his hope or comfort in something as small as an explanation. He didn’t “get it” and he was paralyzed, but he was trusting in God. He had a deep, abiding belief that God was in control and was in charge of everything. Whatever God allows in our lives, He never unleashes the devil completely. He keeps him on a very tight leash. God is glorified and the devil is defeated. Job came out more mature.